. 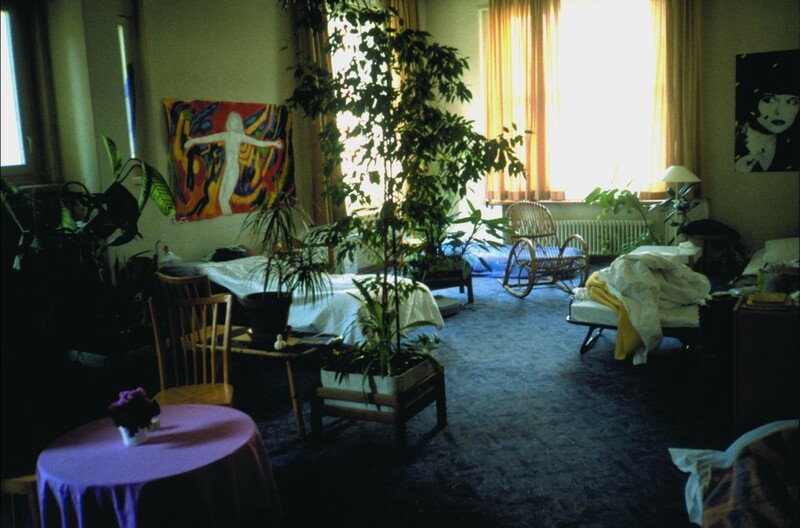 :wochenklausur - Shelter for Drug-Addicted Women:. In Zurich a shelter for drug-addicted prostitutes was established. 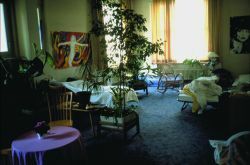 For six years, the facility provided a place to sleep for women who needed to get some rest during the day. In 1994 WochenKlausur was invited by the Shedhalle in Zurich to conduct a project involving drug issues that would underline the institution’s new philosophy, namely that art should no longer be encapsulated from political reality. At the time of the project, election campaigns were underway in Switzerland, and relief organizations assisting drug abusers were being attacked by the right-wing parties for being counterproductive to narcotics enforcement. The City reacted with a reduction of social services, particularly for women who prostitute themselves to support their habit. These women are homeless. They have almost no legal rights and are at the mercy of pimps, customers, dealers and the police. Women in this situation also have no place get some undisturbed rest, since homeless shelters are only open at night, which is when they are out on the strip. They have to sleep during the day. Thus WochenKlausur set up a shelter, a facility closed to men where these women could rest during the day. The group used an unusual strategy to obtain support for this intervention. 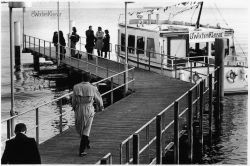 Every day, four different experts in the field of drug issues were sent out on Lake Zurich in a boat, where they were able to discuss their views and exchange information without any public exposure. After two weeks a total of almost sixty experts had participated: all of the secretaries of the Swiss political parties, the mayor and four Zurich city councilors, two prosecuting attorneys, the editors in chief of the biggest Swiss newspapers, police chiefs, and specialists from the fields of medicine, prevention and therapy. The results of the discussions were small improvements on particular issues, such as the controlled distribution of narcotics to AIDS sufferers or the representation of users in court by social workers. 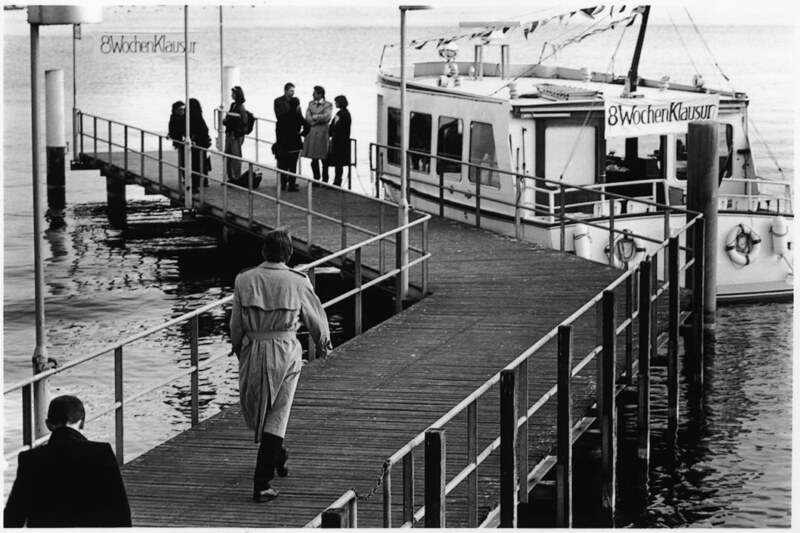 First and foremost, however, the boat rides aided WochenKlausur’s efforts in realizing their plan for the women’s shelter. The plan was discussed with all participants before and after their trip out on the lake. Thus it was possible to secure political and media support for the project. Of course it was not easy to get all of the VIPs on board. As in many WochenKlausur projects, a trick was also used here: first the mayor was invited and told that his colleague, the Socialist party secretary, would also be participating, but only if the mayor had also committed himself. Flattered in this way, the mayor agreed, and half an hour later the same result was achieved with the party secretary. Because the governing Socialist party got involved, the other parties also pledged their participation, and the journalists soon followed. Simultaneously, a suitable house was rented and furnished using the first sponsors’ donations. Nevertheless, the women’s shelter could not be operated without public funding. The City, the Canton and the Federal Health Department covered two thirds of the costs, with the rest coming from private supporters. Thus it was possible to operate the thirty-bed shelter ZORA for six years, until the City of Zurich cut its funding in the year 2001. The remaining funding was not sufficient for the shelter’s continued operation.